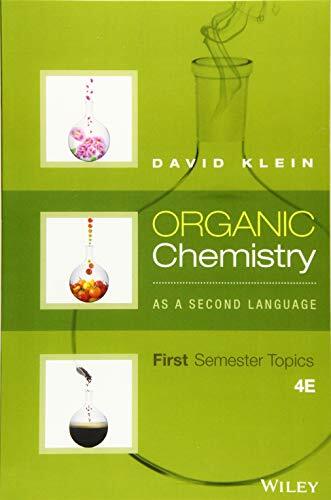 Readers continue to turn to Klein's Organic Chemistry as a Second Language: First Semester Topics, 4th Edition because it enables them to better understand fundamental principles, solve problems, and focus on what they need to know to succeed. This edition explores the major principles in the field and explains why they are relevant. It is written in a way that clearly shows the patterns in organic chemistry so that readers can gain a deeper conceptual understanding of the material. Topics are presented clearly in an accessible writing style along with numerous hands-on problem solving exercises.